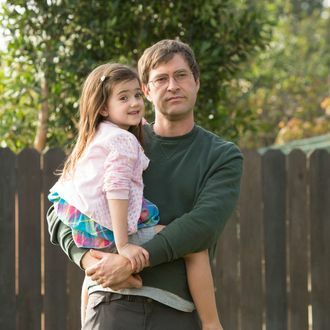 HBO has renewed the Duplass brothers’ Togetherness for a second season. The series, about two couples (Mark Duplass, Melanie Lynskey; Amanda Peet, Steve Zissis) struggling to coexist in the same Eagle Rock house — all while pursuing their own long-shot dreams — premiered this year to mostly positive reviews. “We began our love affair with HBO in our parents’ living room in 1983, and to have these brilliant creative people put a ring on our fingers with a second season of Togetherness is a real-life dream come true,” Mark and Jay Duplass said in a cute statement today. The show restarts production this year for a debut date sometime next year, which just means 2016 will feature more wonderfully bromantic Mark Duplass–Steve Zissis interactions. Happy New Year in advance.